Hard work recognised at industry event. 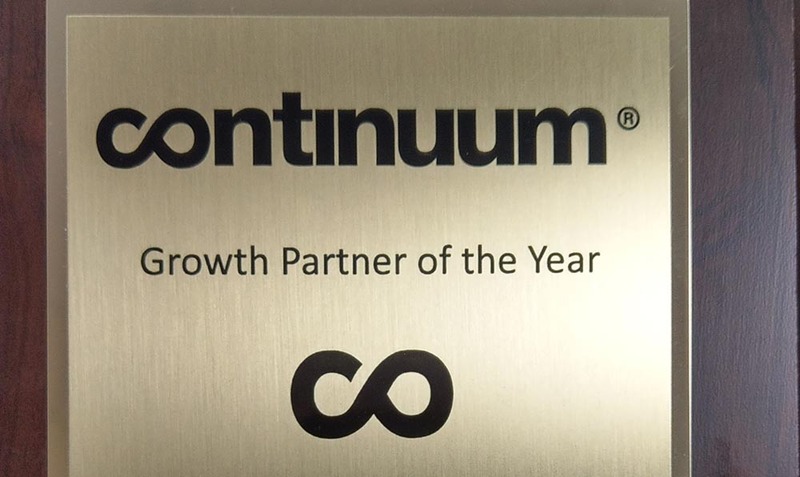 In recognition for its hard work and accomplishments in 2018, TMB has won the Growth Partner of the Year award at Continuum Navigate 2019 - the second time it's been in the running for an award this year. 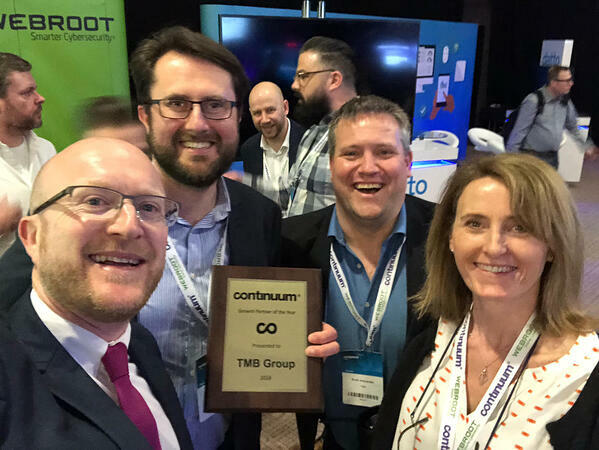 Continuum, which provides the monitoring solutions and out-of-hours support for TMB’s managed services, uses the Navigate conference not only to reward its partners but also to help them grow. The event, held this year at the MK Dons stadium in Milton Keynes, is a chance for managed IT service providers like TMB to reflect on everything they’ve achieved and to learn more about their industry. By doing so, MSPs can continue to provide the best possible service and support for their clients. For TMB, this award is a reflection of the great effort put in by its entire team. Working with Continuum, TMB has transformed its managed IT services, creating solutions that better suit the needs of modern business. Making big changes isn’t always easy, though, and the success of this endeavour has relied not only on the management at TMB but everyone in the company: the account managers, the engineers, the support staff, the finance department – they’ve all had helped to make the transition as smooth as possible for TMB clients. As good as this news is, however, we won’t be resting our laurels. Our goal in 2019, as always, is to offer the very highest quality of service to our customers. They are, of course, the most important part of our business, so thank you to all our customers for their support. Prev Previous Is Fast Startup Blocking Your Windows 10 Updates?